I have a quick and easy card to share with you today using the free Painted Seasons Bundle. If you would still like to place a Sale-A-Bration order, you can do so on my Stampin’ Up! Demonstrator Website, or I will be happy to place an order for you! 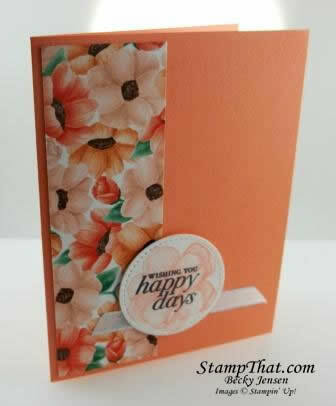 Don’t miss out on free stampin’ supplies and tools!